Who was John & Errol’s Co-Co-Star? 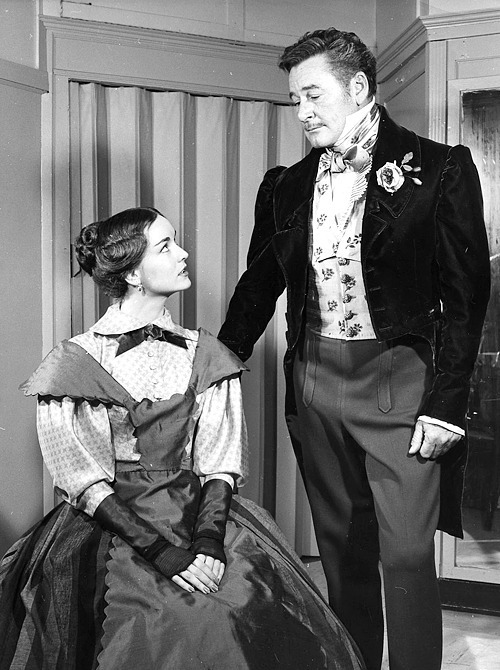 What highly regarded actress co-starred with both The Profile & The Baron? P.S. She was in one of Barrymore’s greatest films, but not in one of Errol’s. Now there are more than one, which one is it? Really Tremendous answers, Tina. Better than I could have ever done! All, however, fall a bit short for at least one reason. 1) I don’t believe Errol’s fellow English-Australian Phyllis Barry technically qualified as a star of Errol’s in Prince & the Pauper – though she was certainly a lovely looking barmaid for Miles. 2) Though Claire Dodd was, Errol himself was not yet a star in Don’t Bet on Blondes. 3) Anita Louise WAS a co-star with both Errol and Barrymore, BUT, because she only filmed with JB prior to the photo of the two of them shown above, they theoretically could not have been comparing notes on their performances with her. (Same could be theoretically true of both Phyllis Barry and Claire Dodd, also.) … In other words, Errol co-starred with this actress AFTER the photo of JB and him above was taken – making it impossible for them to be comparing their performances with her. Though she performed in Hollywood films also, she was far better known and regarded for her work in theater. She had a regal role with Barrymore, but not so with Flynn. Her film with JB proved a huge success, but with Flynn it was not to be. Very few people remember her performance with Errol. You sure imagine a lot like this conversation taking place on this picture – wow – are you by any chance Tim-Svengali – a famous role of John. I would say that maybe the conversation is like that: “John we should consider curbing our drinking? What do you think”? I was questioning the stardom of Phyllis Barry myself, but what ever the case those are the only ladies I know ever played with both – John and Errol. No more guesses from me – I give up! No psychic powers involved, Tina! 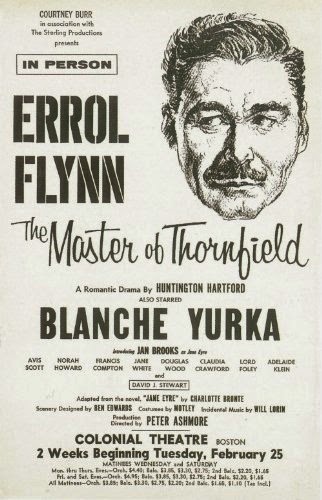 I just happen to know that Errol did not co-star with this particular actress until the 1950’s, well after John Barrymore’s last curtain call. She was Bohemian, born in England, or maybe Minnesota. Her character was slightly deaf. 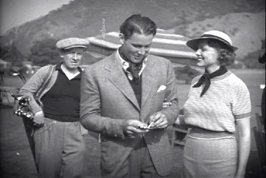 Errol said something “to” her during one of his last scenes with her that, though quite humorous, was not found funny by all. Told some great stories of Barrymore at his peak. John Barrymore’s co-starring with this star of the stage was to be a great success. Her co-starring with Errol was not to be. P.S. 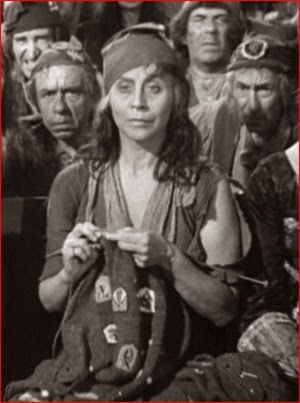 The character Errol played with her was previously played by Orson Welles, and subsequently by George C. Scott and Timothy Dalton. Is the answer, Blanche Yurka?–A. R.
Yes, A.R.! 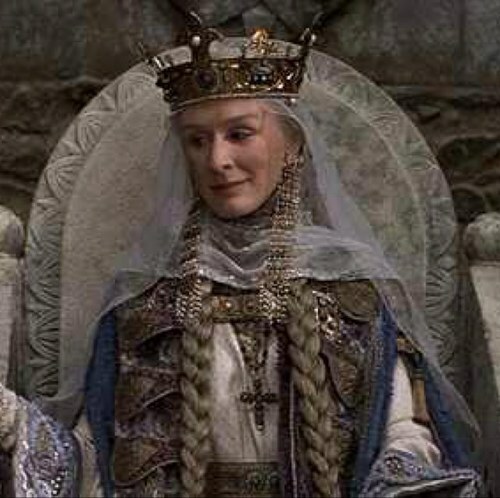 It was Queen Gertrude/Mrs. Fairfax herself. Excellente!! Congratulations, that was a tough one. Yes, Well with the last clue about a role shared by Errol, Orson and Timothy and I remembered that the role in particular was not a role Errol had played in films, but in the theater; the rest fell into place.–A. R.
To make quizzes challenging enough for the Flynn authors/authorities on EFB, A.R., one needs to be somewhat tricky. Otherwise, the quiz won’t last more than a few minutes. Here, as you figured out, the trick was that Errol co-starred with this once major, but now much forgotten, star of the stage, in a tour of live theaters, albeit a very short tour as it turned out. Great photo and I am sure very rare! 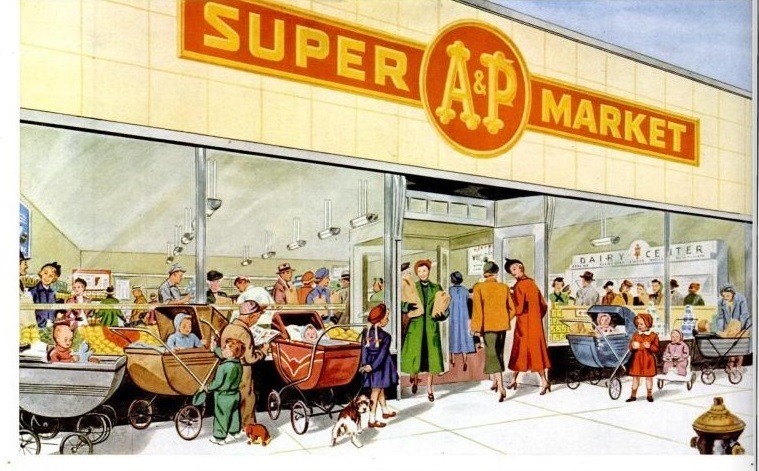 And yes it was a very tricky question!–A. R.